Everyone we knew as a baby is all grown up. And while they were desperately loved as children, that doesn’t mean that all was flowers and sunshine. Take Aaron Keller. As a child he was, literally, the poster child for Shifter Rights. Bright blonde hair, big blue eyes, and a tinkling laugh that grabbed hearts. He was a poster child all right. But that doesn’t mean his life was all roses. His story began in “Bear My Soul.” Living with only his mother for the first six years of his life, Aaron’s life was, as much as his mother loved him, and as hard as she worked to make him happy, brutal. The bear inside him was a brawler, strong and headstrong, and drove Aaron’s life. Drove him into a cage in order to keep himself, and his mother, safe. Six years before it was a one night stand Cody ran from – from the man, and from the feelings he caused. Not knowing who, or what, he was, finding Aaron was a bear was hard. It worked out, but the time in the cage as a child damaged Aaron, and his bear. Damage that has carried forward into his present life. 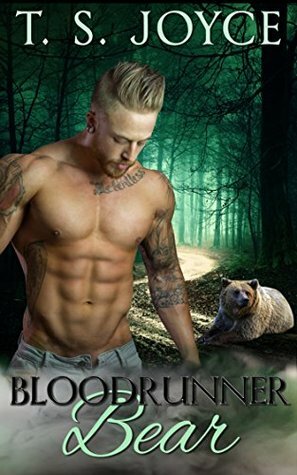 But in “Bloodrunner Bear” Harper’s Mountain is a soothing change to his life. And meeting Alana has promise – but the war between a coven of vampires with a grudge may cost Alana her life. Which could very well cost Aaron his mind.